East Bay BMW would like you to combine the magic of exploring Europe with the thrill of driving your new Ultimate Driving Machine through BMW’s European Delivery Program. Take delivery of your new BMW in Munich, the birthplace of BMW, and christen it on some of the world’s legendary roads-roads that defined the soul of your BMW. At East Bay BMW, your personal Client Advisor will simplify all the details of your European delivery experience. From ordering and insurance to shipping it is all taken care of so you can focus on enjoying your vacation. Our optional Conde Nast Travel Program even offers a selection of exclusive tours designed to maximize your BMW driving vacation. The saving you realize by taking delivery in Europe may just pay for your trip! Be at least 18 years of age with a valid driver’s license. Place your order through an authorized BMW center (East Bay BMW). Note: Z4 and X5 models are not eligible for the European Delivery Program because BMW builds these vehicles at its Spartanburg, SC, plant. You may keep your car in Europe up to 6 months after delivery (there is a 16% penalty tax if your car is not exported within the 6-month period). Cars financed or leased through BMW Financial Services must be exported within 90 days. Taking delivery of your new BMW in Europe will definitely make you smile and so will the savings on the price of your new BMW as well as the airfare to Europe. Those savings may pay for your trip. You may save up to 7 percent of the retail price-up to $8,325 on your new BMW. You will also save by eliminating transportation costs-airplane, train, taxi, and bus fares while in Europe. European Delivery price includes-14 days of free premium road insurance, tourist registration, factory preparation, inland European transportation from the designated drop-off point, marine insurance, customs duty and clearance, U.S. port processing and accessory installation and wharfage and handling fees. From Munich’s Franz Josef Strauss Airport where you will begin your exciting European vacation in your new BMW. The Munich Delivery Center is conveniently located in northern Munich, not far from the BMW corporate headquarters, the BMW Museum, and BMW’s Munich factory. The Delivery Center is open Monday through Friday from 7:30 AM to 3:30 PM, excluding holidays. The Center is conveniently located off the A9 autobahn. The drive from Munich’s Franz Josef Strauss Airport is approximately 30-45 minutes, except in rush hour when the trip can be longer. There are 15 convenient drop-off locations throughout Europe, plus additional locations in Italy. Simply drive your BMW to the location of your choice. The cost of transportation, customs clearance and duty, and marine insurance is included in the purchase price of all BMWs sold under the European Delivery Program. All cars depart from Antwerp, Belgium, or Bremerhaven, Germany. It will take approximately 6-8 weeks from the drop-off date for a car to arrive at East Bay BMW in Pleasanton. After clearing customs, the BMW Vehicle Processing Center at the port of entry will inspect your car and install any applicable accessories. 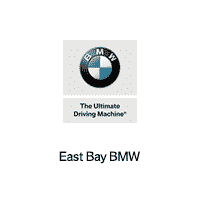 Your BMW will be inspected again upon arriving at East Bay BMW in Pleasanton. Your personal Client Advisor will redeliver your car to you-the perfect souvenir from your European vacation. Q: How much time, in advance, must I order my BMW once I know when I would like to travel to Europe? A: You must allow 90 days to order your new BMW, prior to your delivery date in Munich. Q: Where do I pick up my new BMW? A: The Delivery Center is located in Munich-the home of BMW. It is the only delivery location. Q: What type of license do I need to drive my new BMW in Europe? A: A valid U.S. driver’s license is sufficient to drive a car in Europe. Driver’s must be at least 18 years old. If you plan to travel in Austria, you must have a valid International Driver’s License. Q: What type of insurance and registration do I carry while driving in Europe? A: BMW European Delivery provides 14 days of premium insurance and tourist registration with no cost to you. Q: What if I have an accident while in Europe? A: One of German’s largest insurance companies provides coverage in Europe for BMWs sold under the European Delivery Program. Complete insurance information will be provided to at the time of your car’s delivery in Munich. Q: Are there road tolls in Europe? A: Certain highways and expressways in Austria, Switzerland, and the Czech Republic are subject to a toll and require a toll sticker to be purchased and attached on the front windshield of your car prior to entry into any of these countries. Q: Do I have to drop my BMW off in Munich since I took delivery there? A: No, you may return your BMW to 1 of 15 convenient drop-off locations throughout Europe, plus additional locations in Italy. Q: What if my car is damaged in shipment from Europe to the United States? A: The purchase price of the BMW in the European Delivery Program includes all transportation and marine insurance. BMW will authorize East Bay BMW to make any necessary repairs. Q: Can I have a relative or friend pick up the car for me? A: No, the BMW must be picked up by the purchaser. The European Delivery Program does not allow any third party deliveries.